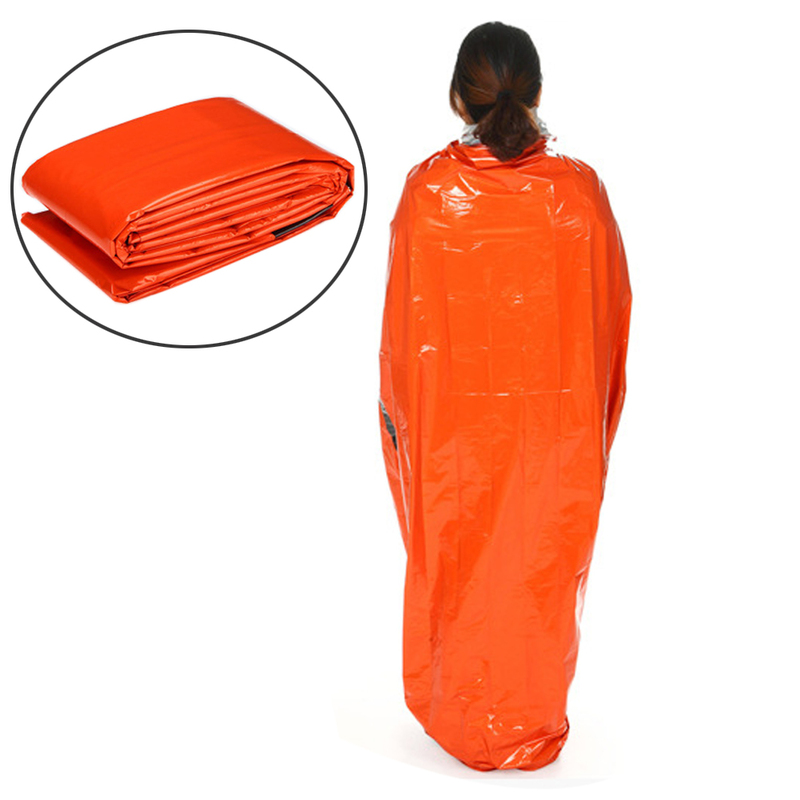 The Emergency Sleeping Bag comes in a professional first-aid orange colour, ensuring you can easily be seen by rescue staff, and is essential for the field of survival. This product can improve insulation and ensure that you can sleep at a good temperature. Portable, compact and practical. Water and wind resistant, very comfortable. 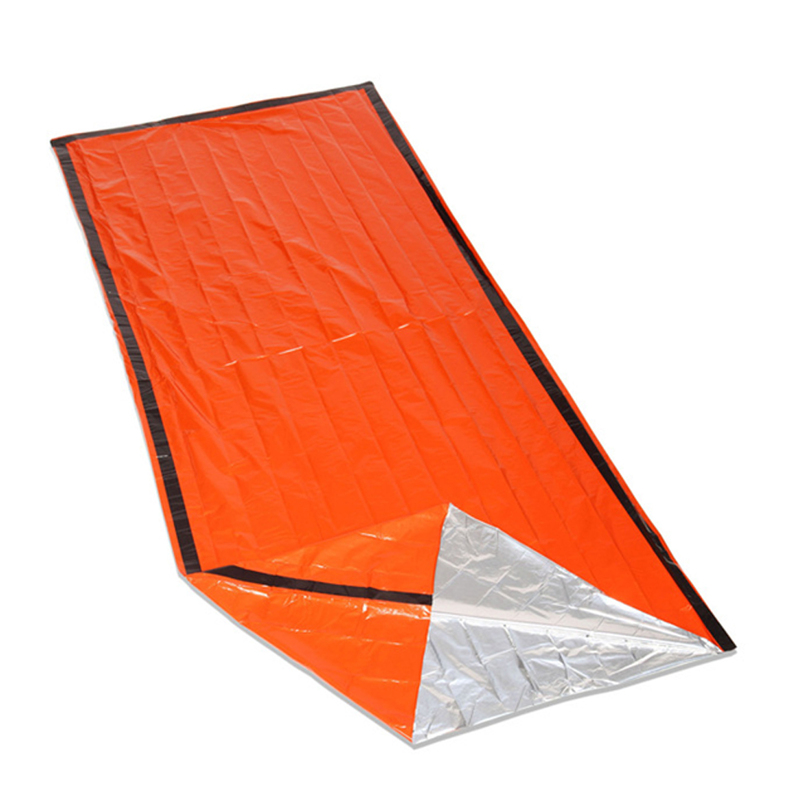 Lightweight, compressible and portable, very easy to carry and use. 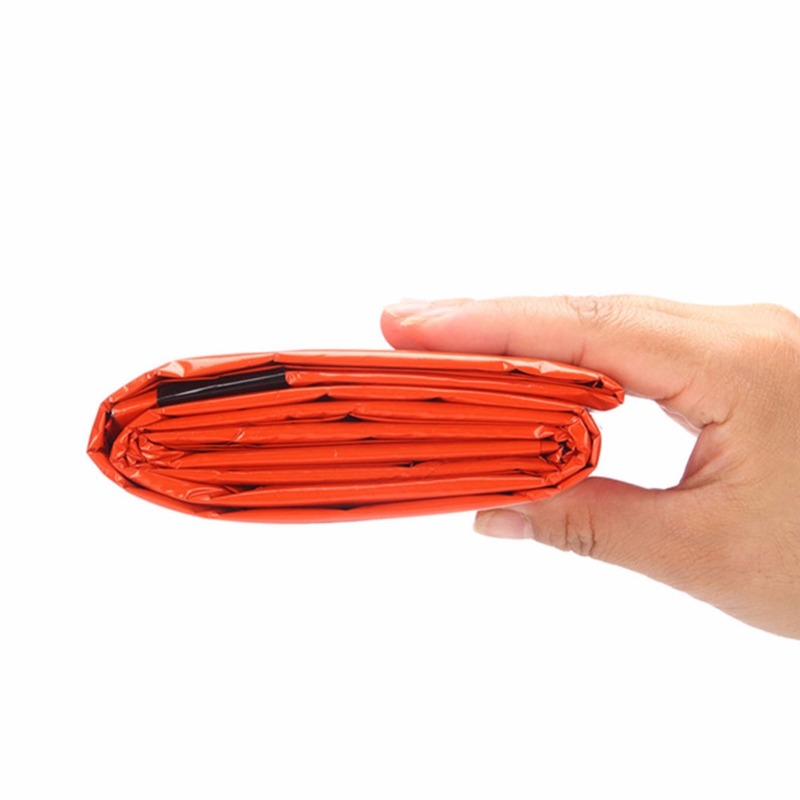 Polyethene material makes it durable and reusable. 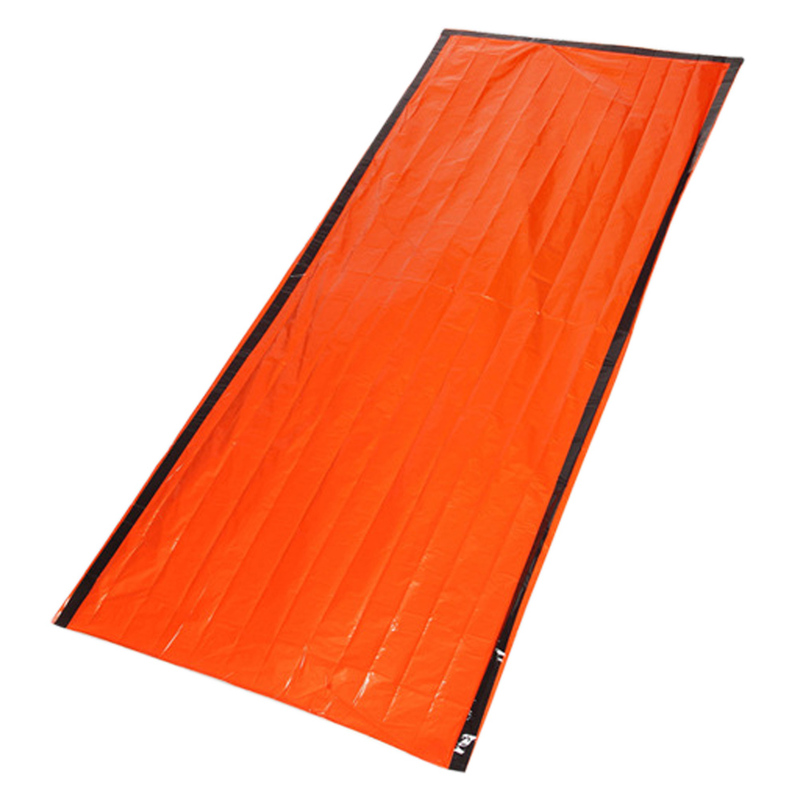 Professional emergency colour – orange helps the user be found more easily in an emergency. 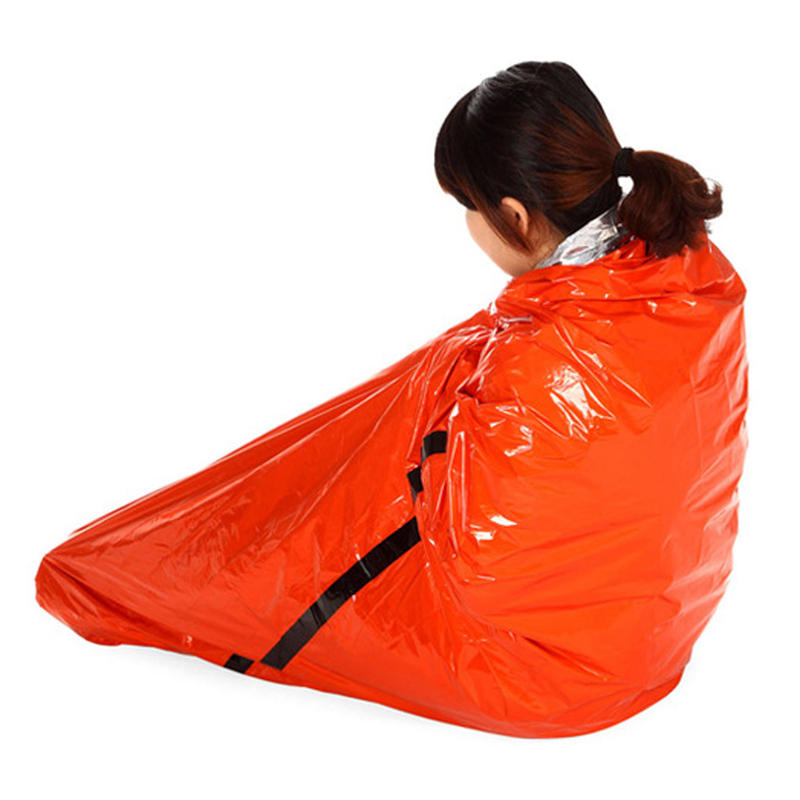 It can be used in the low-temperature environment and keep you warm. It also can be used as a picnic mat. Suitable for camping, hiking, travelling and so on. 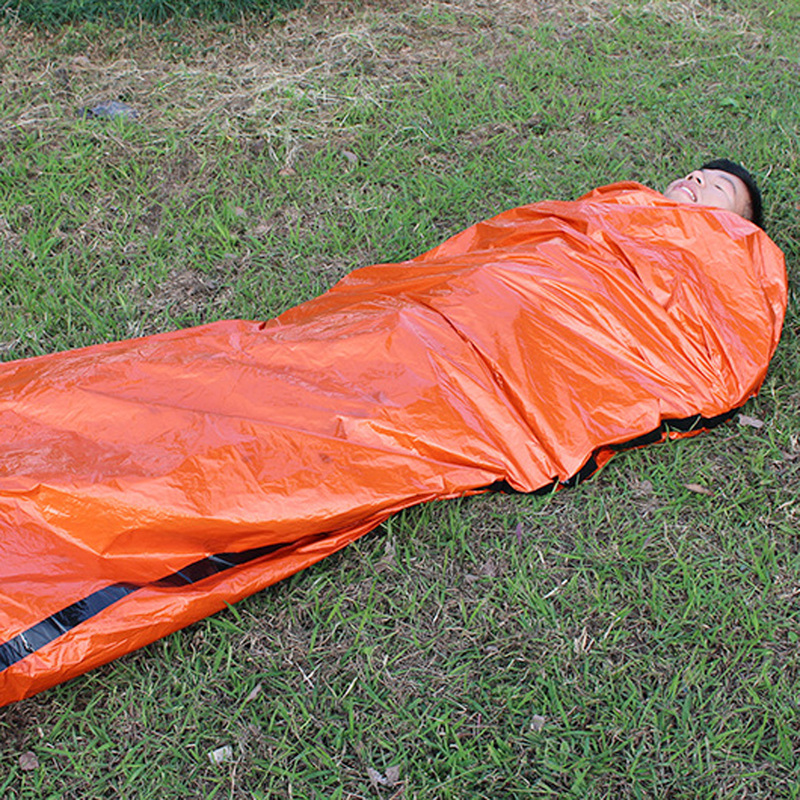 The survival sleeping bag looks good and I'm happy with it. 5 stars.